Casino Superlines operates under Master License No.365/JAZ Sub-License GLH-OCCHKTW0708082016, granted by the Government of Curaçao. Get €10 Free, no deposit required! The online Casino Superlines is an online casino that offers instant-play gaming with video slots machines and casino games powered by the leading casino software providers: NetEnt, GameArt, Nektan, Playson and other. Casino Superlines is operated by Equinox Dynamic N.V., a company who are registered in the gaming-friendly stronghold of Curacao. Equinox Dynamic are in turn owned by a company based in Bratislava in the Slovak Republic. 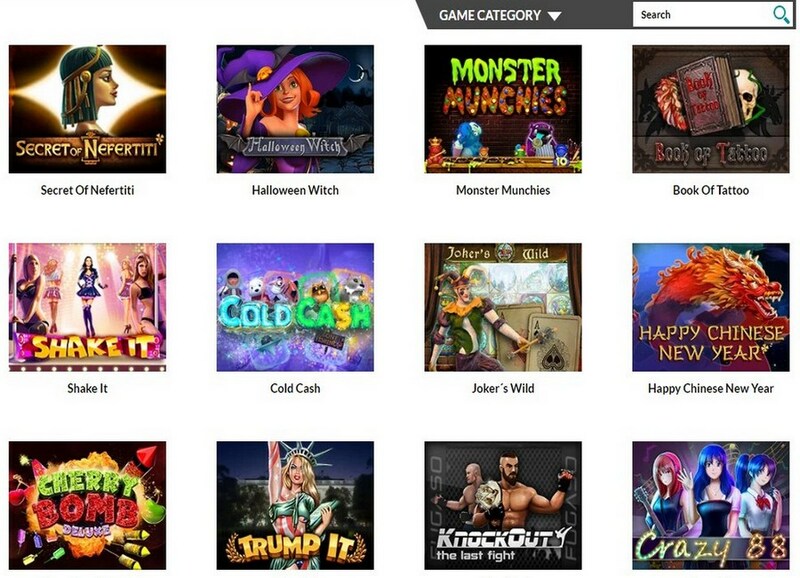 The most popular online slot games: Gonzo's Quest Slot, Viking Fire slot, Wild Toro slot, and Guns N' Roses Slot. Those who prefer Roulette, can try different variants like Zero Spin Roulette, Premium Roulette and Micro Roulette. Blackjack fans, on the other hand, can play the games like Blackjack Surrender and Blackjack Switch. Video poker games selection includes Caribbean Poker, Casino Hold’em Poker, Poker Three, Magic Poker and Poker Dice. Roulette fans can master the wheel with Sizzling Hot Roulette, GIB Roulette and European Roulette. Furthermore, Baccarat and Blackjack fans can also find something to suit their taste when playing against live dealers. Casino Superlines website is fully responsive, which means it can be viewed on any compatible iOS or Android device. Mobile casino allows all Casino Superlines members to play plentiful mobile slots and table games on the go. The Casino Superlines allows for several different casino banking methods: Mastercard, Visa, Bitcoin, Paysafecard, Neteller, Skrill. Readers of this site are encouraged to benefit from an exclusive bonus at Casino Superlines. New players can earn €10 completely free by entering bonus code "SUP10" at the cashier. 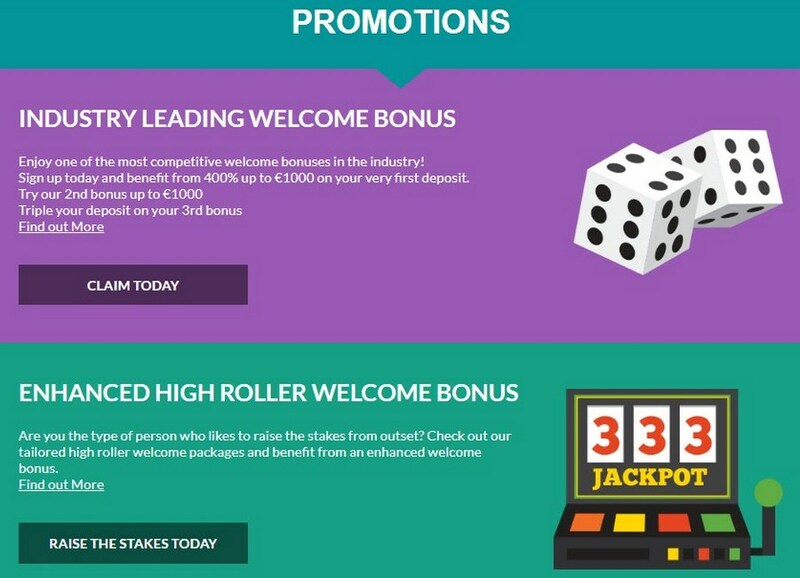 Players will also receive a new player welcome bonus up to €1000 upon their initial deposit. Welcome bonus work out as a 400% first deposit worth up to €400, a second deposit match casino bonus of 100% worth up to €1,000 and a third deposit match of 200%. Casino Superlines also offers an enhanced high roller welcome bonus for players who deposit over €500. 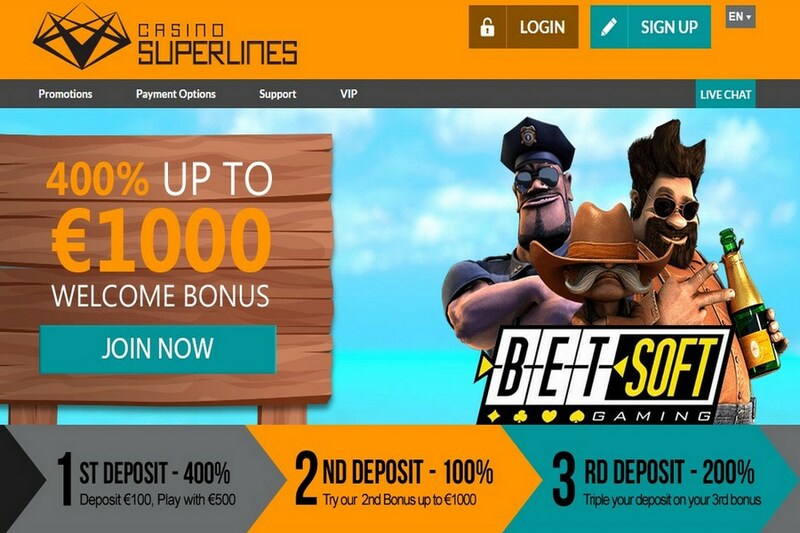 Casino Superlines offers a VIP scheme, one in which players start off at bronze level, for deposits of under €5,000 in total. Here you can expect to receive an “industry shattering welcome package” whatever that means, a dedicated account manager and 1 cash point earned for every €10 you wager. At Silver level, your cash points improve fractionally – you’ll now earn 1 point for every €9.50 wagered and will enjoy enhanced loyalty promotions. Then there’s Gold and Platinum, the former once you’ve deposited over €15,000 and the latter once you’ve passed €25,000. Furthermore, Casino Superlines games are fair, random and tested. Their software is audited by Gaming Laboratories International (GLI), which meets and exceeds international standards. This way, members of the casino are treated with full fairness in all situations with winnings paid out promptly. All hands are dealt by a certified random number generator (RNG), which is also independently audited. Respect, trust, transparency and valuable customer service are the four most important aspects of Casino Superlines’ relationship with online casino gamblers. Live support is available 24/7 via live chat, telephone support and a dedicated email form. The customer service representatives are multilingual and highly able to deal with virtually any issue or question. What’s more, there’s a helpful FAQ section, where players may find answers to previously asked questions.